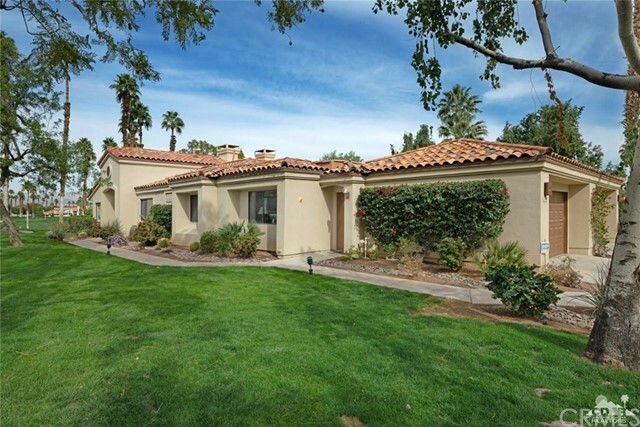 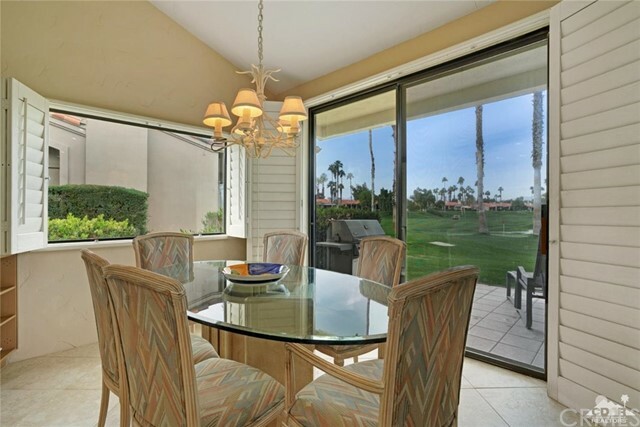 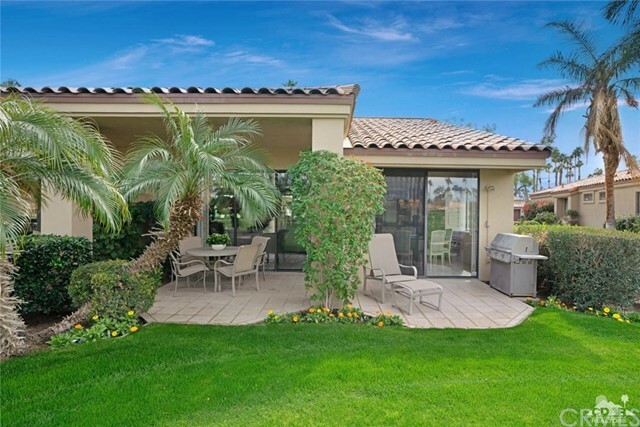 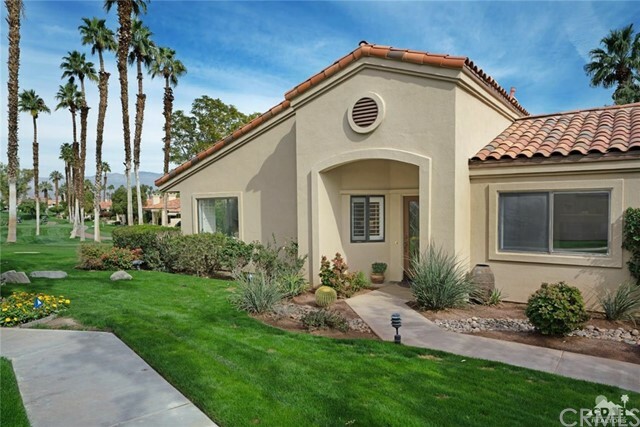 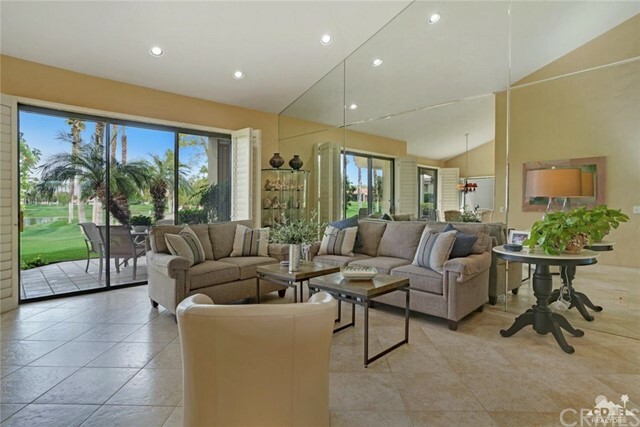 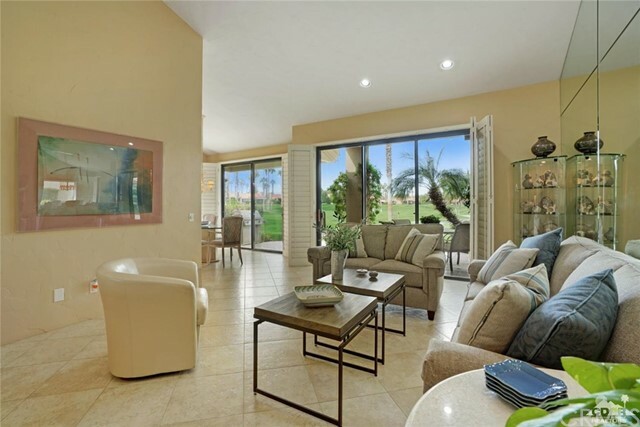 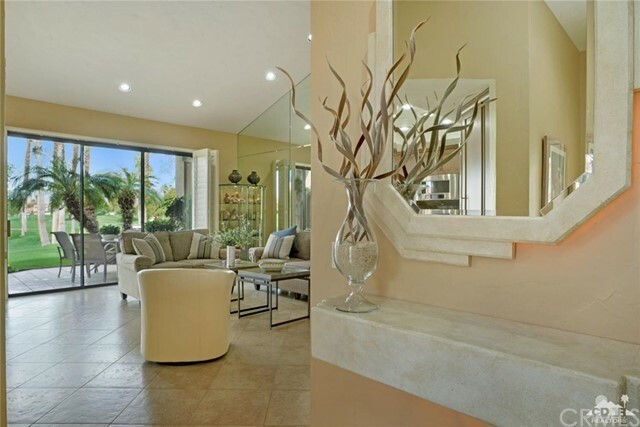 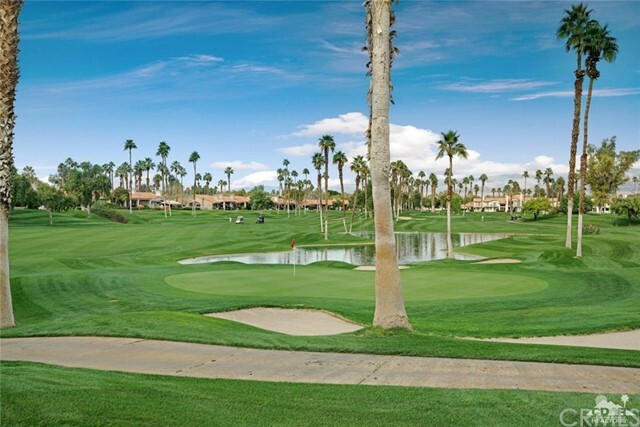 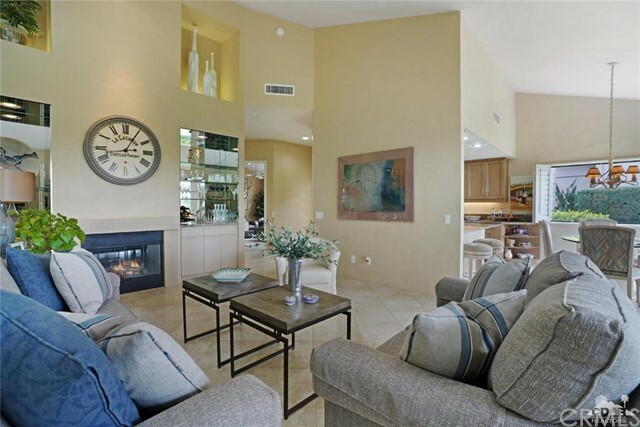 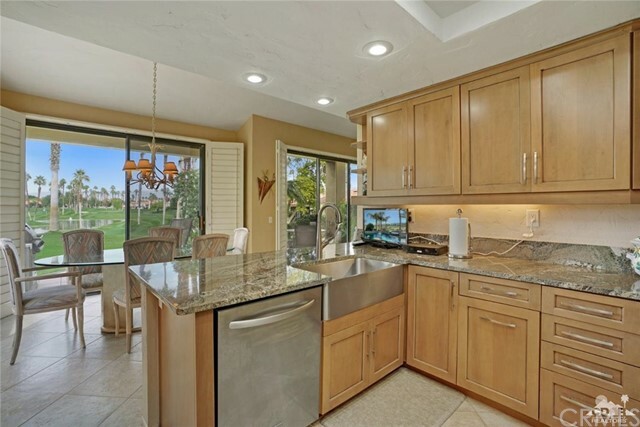 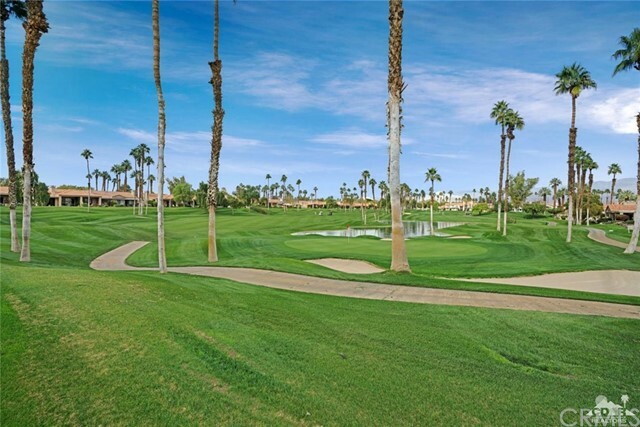 From this beautifully upgraded & expanded Cottonwood plan in Palm Valley CC you have a spectacular view down double fairways and a lake to the mountains beyond. 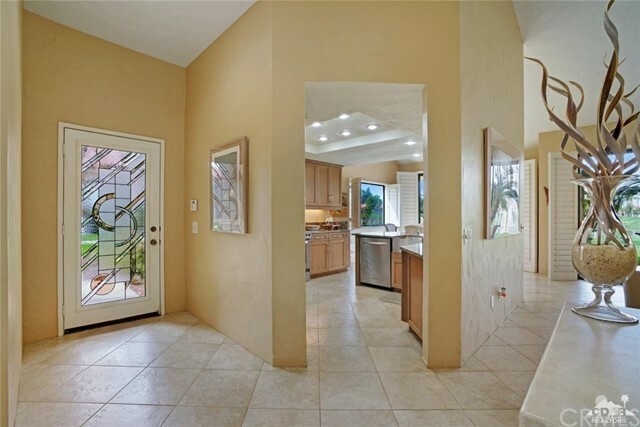 One half of a 2 unit building, it has a leaded glass entry door. 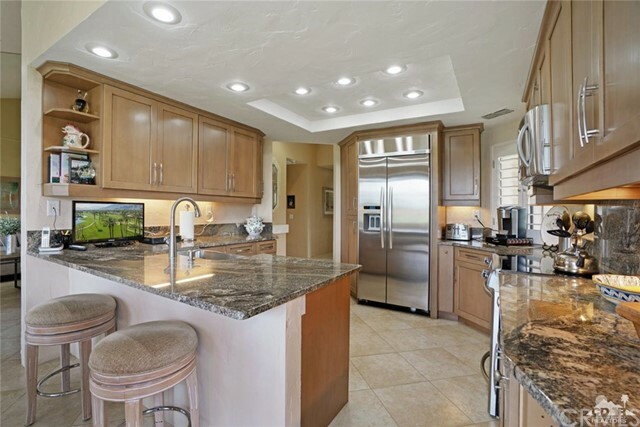 Kitchen has slab granite, upgraded cabinets & under-cabinet lighting. 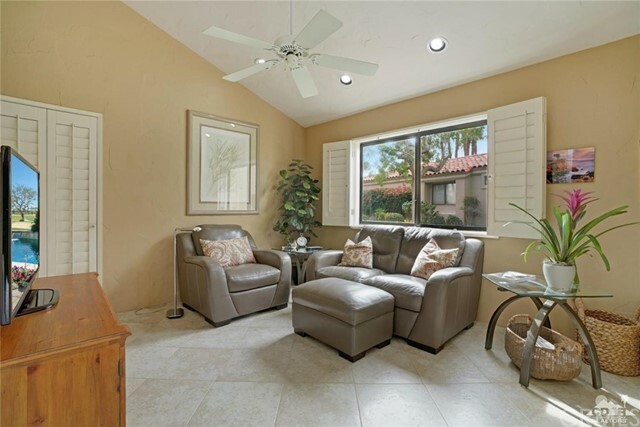 Diagonal 18 tile in all but master, guest & office, which have carpet. 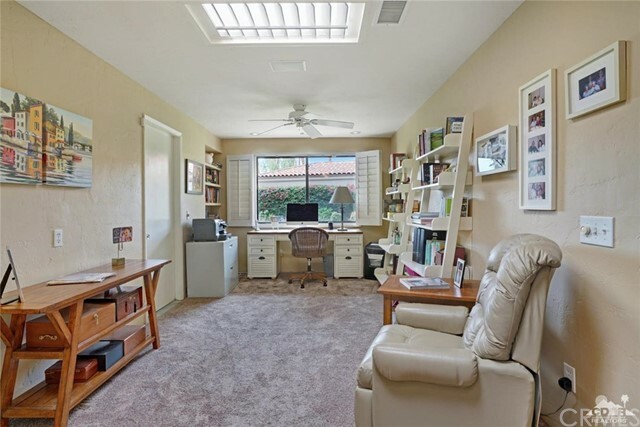 Office added to master has walk-in closet, storage cabinets & skylights with shutters for light control. 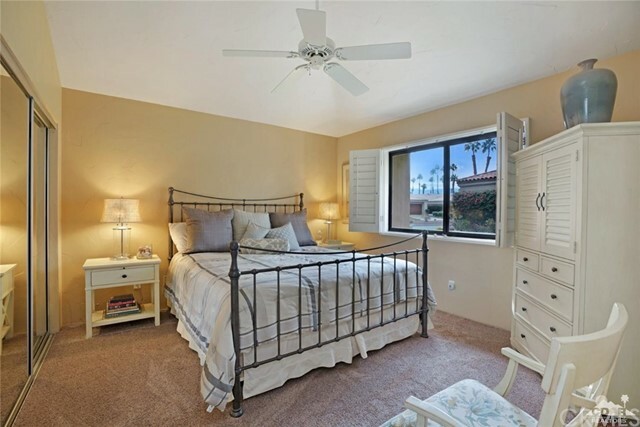 Third bedroom being used as a den. 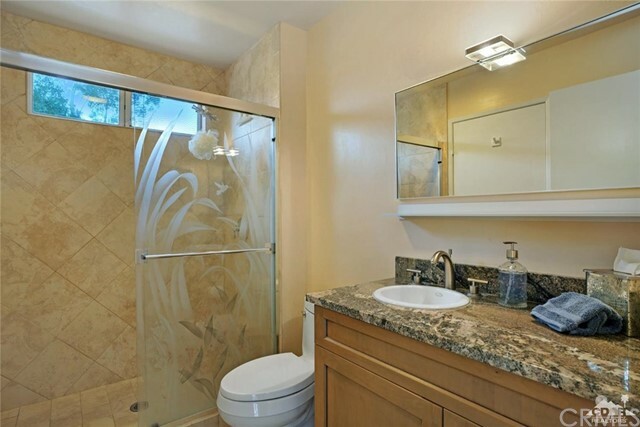 Pristine upgraded baths have granite and stunning soft-close cabinetry. 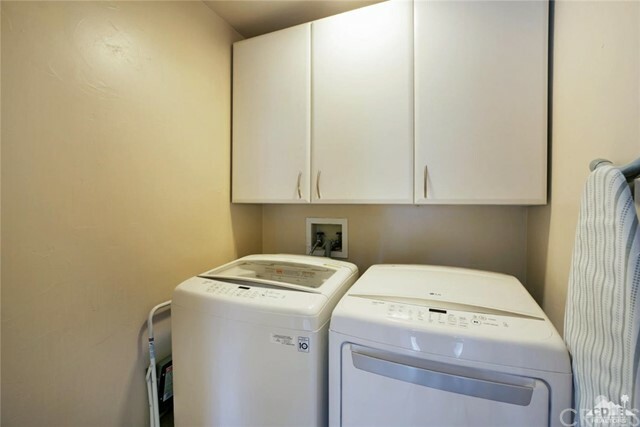 Pantry, interior laundry with new washer & dryer (July 2018). 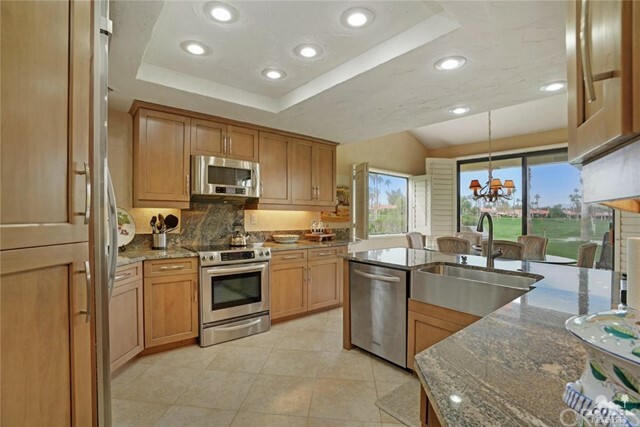 Furnace, A/C & ductwork 6 yrs ago. 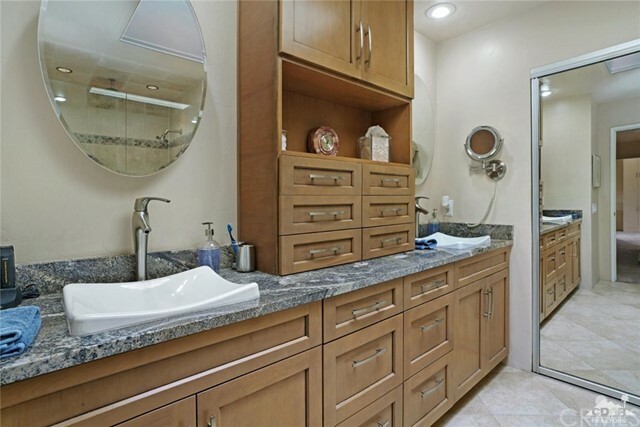 Two-car garage has refinished floor & ample storage cabinets. 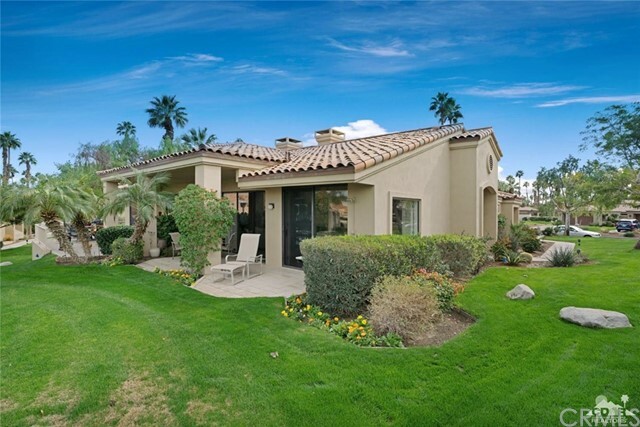 Two pools and spas are conveniently close but not immediately adjacent. 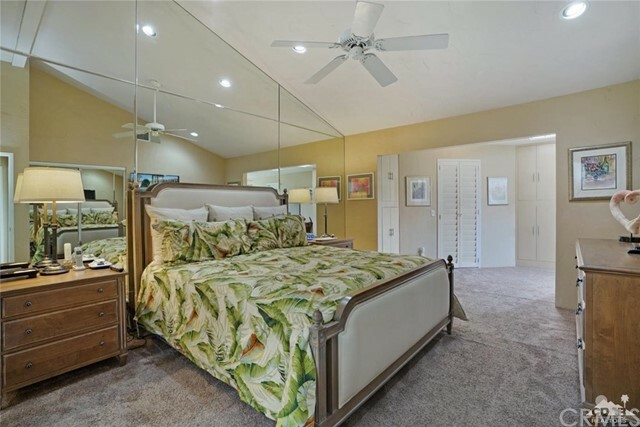 Beautifully upgraded, impeccably maintained, wonderful location - it will not disappoint.